Please join us for the Gulf Coast Regional Blood Center Blood Drive at our Southwest Freeway location! There will be a donor coach on site and all donors who donate between April 1st-12th will receive a FREE ticket to the April 13th Houston Sabercats Major League Rugby match at the brand new AVEVA Stadium! Let's work together to ensure all patients have the blood they need. Hear from the Briarn Murphy of StreetLevel Investments about the redevelopment of the old Texas Instruments site in Stafford, sponsored by LandPark Commercial. 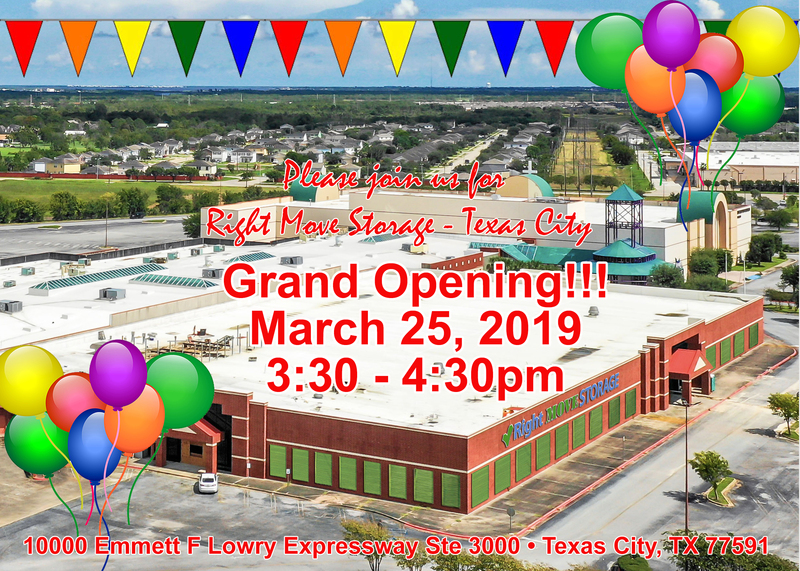 Right Move Storage - Texas City GRAND OPENING! 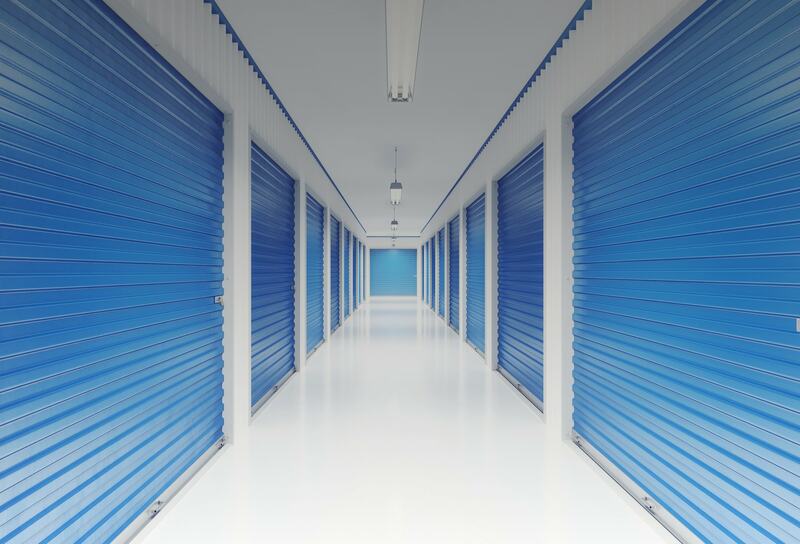 Please join us for Right Move Storage - Texas City GRAND OPENING today from 3:30 - 4:30pm! Come meet the Right Move Storage Team and see our new Self Storage Facility today!! LandPark Commercial was a proud sponsor today at the State of The City of Sugar Land Address, focusing on the City's 2018 accomplishments and goals for 2019. Please join us for the Gulf Coast Regional Blood Center Blood Drive at our Wilcrest location! There will be a donor coach on site and all donors will receive a free Starbucks gift card! Let's work together to ensure all patients have the blood they need. Please join us for the Gulf Coast Regional Blood Center Blood Drive at our Gray Falls location! There will be a donor coach on site and all donors will receive a free hoodie! Let's work together to ensure all patients have the blood they need. Happy Holidays to our tenants at 2550 Gray Falls Drive! We appreciate your tenancy and hope you join us to enjoy breakfast tacos, pastries, coffee and orange juice at our Gray Falls building. Happy Holidays to our tenants at 10701 & 10707 Corporate Drive! We appreciate your tenancy and hope you join us to enjoy breakfast tacos, pastries, coffee and orange juice at our Atrium building. 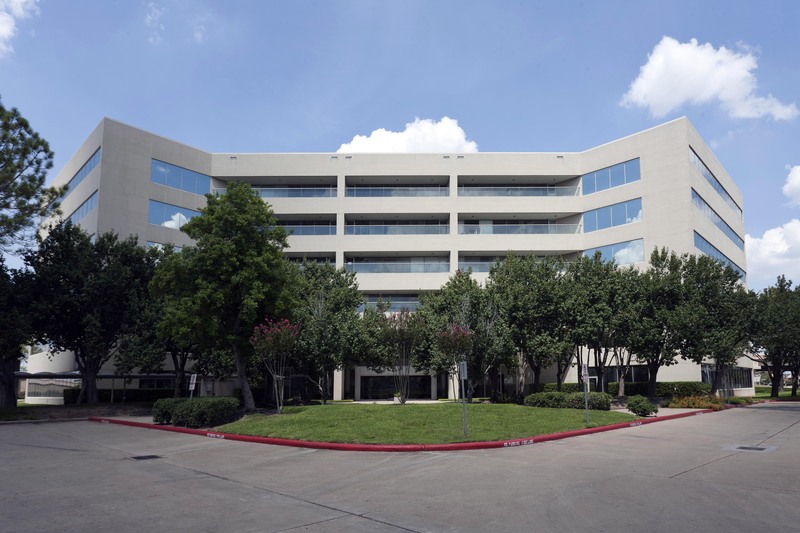 Happy Holidays to our tenants at 12603 Southwest Freeway! We appreciate your tenancy and hope you join us to enjoy breakfast tacos, pastries, coffee and orange juice at our SW Freeway building. Happy Holidays to our tenants at 2424 and 2500 Wilcrest Drive! We appreciate your tenancy and hope you join us to enjoy breakfast tacos, pastries, coffee and orange juice at our Wilcrest buildings. You may drop off donations of new, unwrapped toys for ages 0-12 years at our onsite management office located at 10701 Corporate Drive, Suite 155, Stafford, TX 77477. For more information, please visit www.stafford-tx.toysfortots.org or call LandPark Commercial, LLC at (281) 980-1335. LandPark President Bill McGrath was honored to attended the CCC Gala in honor of the Birney Family. The Ready, Set, Go! 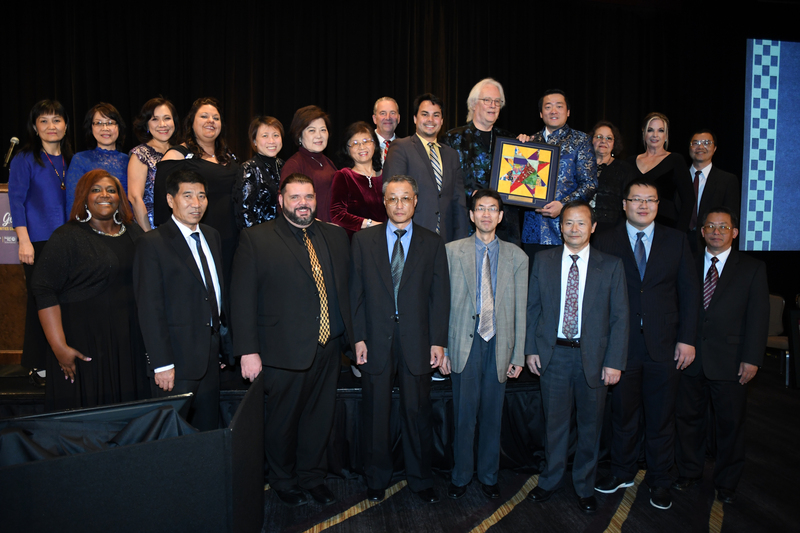 Building Stronger Communities Gala celebrates memorable accomplishments in the Chinese Community Center which is a multi-ethnic organization serving all Houstonians. This year they are celebrating the completion of the New Horizons Project which will allow them to add a Day Activity and Health Service Center for older adults, a multi-use recreational center, auditorium, courtyard garden, commercial kitchen and conference and activity space. Share, discover and engage at the premier event for the self-storage industry in Texas. Join us for three days of networking, education and a trade show geared for self-storage owners and operators. LandPark had the opportunity to be one of the sponsors for the CCIM Houston/Gulf Coast Scholarship Golf Tournament at Sugar Creek Country Club. If you’re a storage professional looking for new ideas, inspiration and answers on how to start or expand your storage business, then look no further than the Inside Self-Storage World Expo! Whether it’s on our tradeshow floor boasting nearly 200 exhibitors, in our education sessions led by top-notch speakers, or at our networking events connecting you to the right people in the industry, we provide you with the knowledge, connections and tools you need to strengthen your business. We hope you’ll join us and more than 3,600 other like-minded storage professionals this April 3-6, 2018, in Las Vegas. LandPark Commercial was a proud sponsor today at the State of The City of Sugar Land Address, focusing on the City's 2017 accomplishments and goals for 2018. Our tenants are most important to us! That's why we designate this day to say Thank You for your tenancy and hope to celebrate many more. Enjoy breakfast tacos, fruit, biscuits and coffee at both of our Wilcrest locations. Our tenants are most important to us! That's why we designate this day to say Thank You for your tenancy and hope to celebrate many more. Enjoy breakfast tacos, fruit, biscuits and coffee at our Gray Falls location. Our tenants are most important to us! That's why we designate this day to say Thank You for your tenancy and hope to celebrate many more. Enjoy donuts, kolaches and coffee at our Corporate Park location. LandPark had the opportunity to be one of the sponsors for the CCIM Houston/Gulf Coast Scholarship Golf Tournament at Sugar Creek Country Club. A lot of fun networking and catching up with friends as President Bill McGrath, CEO Peter Wall, and Vice-President Will McGrath showed their skills on the green. There’s no better place to learn about starting or growing a self-storage business than the ISS World Expo. We’ve produced this event for more than 25 years and are proud to be the industry’s largest, most comprehensive conference and tradeshow in the world. Join us and more than 3,700 likeminded professionals April 10-13 in Las Vegas. You’re sure to find what you need to succeed! 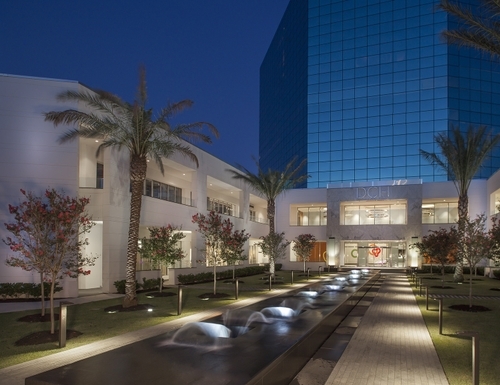 LandPark Advisors will be offering a a variety of events for both owners and brokers. Please check back soon for a list of upcoming events! **All workshops are open to anyone, but seating is limited so please RSVP as soon as possible. Chamber Celebration is a time to celebrate our star volunteers and welcome our 2017 Board of Directors, we are also including a Mini Business Expo. This is your chance to network with the dedicated movers and shakers of the Chamber and help us kick off 2017 with this always festive event.